In P6 there is a strong emphasis on a positive and happy classroom atmosphere. My motto is Safety, Fun and Learning in which pupils safety is the first goal, followed by their enjoyment of being in school. Once these two goals are met, each pupil can learn effectively. 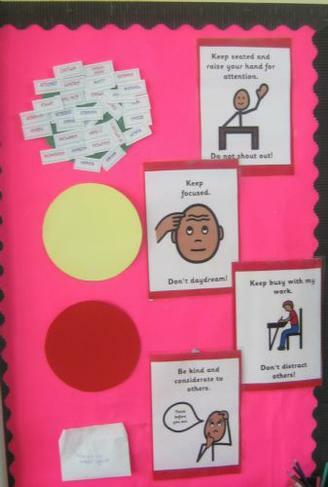 There are a number of classroom behaviour and rewards systems in the class to help facilitate these objectives. 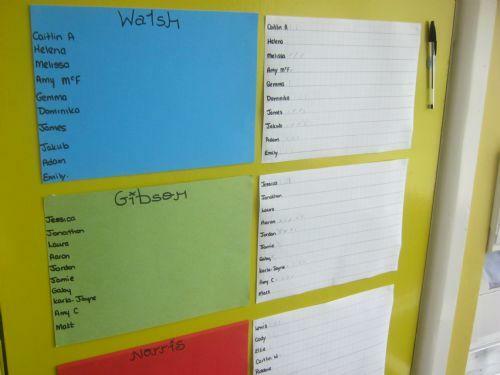 Each pupils name is on the green traffic light at the start of each day. If they do not abide by the class rules, they are first warned verbally. If the class rule is still being broken, the pupils name is moved to the amber circle. If the class rule continues to be broken for the third time, the pupils name will be moved to the red square for a class sanction. The class rules are next to the traffic lights so they can be clearly seen. An emphasis is put on pupils making good choices to remain on the green light. Pupils gain house points for working hard, healthy break and being helpful and kind to others. The three house names are Walsh, Norris and Gibson, in memory of the previous headmasters of Forthill Primary School. The house with the most points are awarded a cup in assembly on a Thursday morning. House points are also accumalated throughout the year, and there is a winning house at the end of the summer term.